Jump into STEM! Curriculum includes middle- and elementary-school STEM career exploration activities that can be taught by high school members. This is a great opportunity to expose students to STEM careers and recruit for your programs as well as SkillsUSA. SkillsUSA Career Essentials: Foundations. This curriculum includes 29 lesson plans that support the SkillsUSA Framework and prepare students for workplace success. Foundations is the first building block in the suite of products offered through the SkillsUSA Career Essentials suite. These free materials are provided by digital delivery to your email address. All of us at SkillsUSA hope you have a wonderful holiday season. I want to personally thank you for what you are doing to lift up and inspire students. The work you are doing is critical. With your support, our members will be the next generation to step forward as our skilled workforce to help keep our nation strong. I wish you and yours a safe, healthy and prosperous 2019, and I look forward to working with you in the new year. 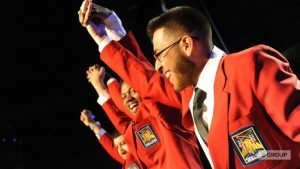 The SkillsUSA Brand Center at www.skillsusabrandcenter.org has been updated with new resources for advisors. New and updated templates have been added to the Downloads section that match the current membership kits including local brochures, meeting fliers, administrator fliers, program covers, sample press releases and presentations. Applications for several scholarships are now open to benefit SkillsUSA students in pursuit of higher education or certification in their chosen field. Don’t forget that you can support SkillsUSA when you do your holiday shopping through Amazon. Make your order through AmazonSmile and search for ”SkillsUSA Foundation” as your charity of choice. SkillsUSA will receive a percentage of the sale and you will not incur any additional cost. The new year is just around the corner, and for SkillsUSA that means out with the old and in with the new for 2019. The SkillsUSA Store is introducing a redesigned SkillsUSA blazer, now shipped with two extra buttons and a garment bag at new lower prices. With a price point of $99, bulk discount pricing at $79 and upgraded features, schools can update their closets and outfit students less expensively for competitions and conferences. For details, go to: https://tinyurl.com/y9dkp3ab. With SkillsUSA’s focus on community service, advisors and students may already meet the requirements to receive the award. To qualify, SkillsUSA members, advisors or alumni can submit a record of their service hours. 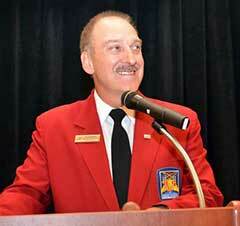 SkillsUSA sponsors a national recognition opportunity called the Student2Student mentoring program. Mentoring connects young people to personal growth and development, as well as economic opportunities. When a SkillsUSA chapter mentors an elementary- or middle-school classroom, it helps younger students imagine careers and helps older students practice their skills. Student2Student recognizes SkillsUSA chapters that are involved in a mentoring program in their communities. To enter, submit your mentoring project plan, description and outcomes. The winning chapter will be recognized at the National Leadership and Skills Conference and in its Awards and Recognition book. In addition, the winner will be invited to present at SkillsUSA University. All entries must be submitted by April 1. Winners are announced in May. You can download the Mentoring Guide: www.skillsusa.org/wp-content/uploads/2015/03/Mentoring-Guide-rev.2015.pdf. For more information, contact Gayle Silvey at gsilvey@skillsusa.org or visit: www.skillsusa.org/programs/mentoring-student2student/mentoring-recognition-program/. 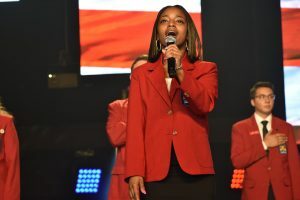 SkillsUSA’s board of directors approved an increase in the registration fee for the 2019 National Leadership and Skills Conference (NLSC). The fee increase is due to the higher cost of doing business in many categories related to NLSC. In 2019, the conference registration fee is $170 per person, which includes an additional $5 to cover admission to Bats Stadium for the Champions Night baseball game. Each ticket includes a $5 voucher for attendees to use at the concessions or in the gift shop. This was approved by the state SkillsUSA directors. In 2020, the conference registration fee will be $165 per person. If you have questions about conference registration fees, email Shelly Coates at scoates@skillsusa.org. All ACTE individual professional, retired, educational institution members, and national affiliate organizations whose membership dues are current, are eligible to vote. Biographical information and platform statements for the nominees are located here: http://www.acteonline.org/board_election_candidates/ – toggle-id-2. The election process will be conducted via electronic ballot only. Ballots have been sent to member email addresses listed in the ACTE database. If you have not received the email, please contact support@directvote.net. Electronic ballots must be cast by Dec. 31, 2018 at 11:59 p.m. ET. Many people are amazed to learn how much is manufactured in the United States and how diverse the careers are in this industry. Today’s manufacturing is about new innovation, making an impact and a chance to design and build the future. Whether students are interested in design, engineering or even the business side of the industry, there is a place for everyone in manufacturing. Not only does the industry offer a wide variety of demanding and fulfilling roles, it also offers high pay and opportunity for career advancement. All eligible nominations will be highlighted in a showcase of best practices and success stories.